Once a person decides to make a trust as part of his estate plan, he has to fund the trust by transferring title to property from himself to the trust. The transfer of title has different consequences for the person depending on the kind of trust that is formed, and in some cases the type property that is transferred. This is especially true when it comes to transferring title to property that usually holds tax benefits for the owner. Transfer of title to a trust is done in order to complete the setting up of the trust. If the trust is to come into being after a person’s death, provisions for funding the trust are usually spelled out in the person’s will. Without the proper transfer of title to assets bequeathed through a trust, there is no proper trust. If the trust is a revocable trust that can be changed or revoked at any time by the person making the trust, transfer of title to the trust is not really seen as a complete transfer to a different legal entity. This means that if the transfer is of a primary residence subject to a homestead exemption for example, the homeowner can still take advantage of the homestead exemption even though the trust technically has title to the home. When a transfer is made to an irrevocable trust, the property becomes fully owned by the trust. This is because an irrevocable trust cannot be changed once established, and the owner who transfers the title to the property cannot take the property back. Because of this, benefits such as the homestead exemption may be lost after this kind of transfer. Additionally, if a mortgage is still owed on a home, transferring title to a revocable trust may not affect the financial obligations of the homeowner. However, a transfer to an irrevocable trust may mean that the homeowner is required to make full payment on the mortgage loan upon transfer. This depends on the terms of the mortgage loan. Therefore, depending on the kind of trust, this may be a consideration when deciding when to move mortgaged property to a trust. If real property is transferred to a trust, the transfer should include notation on the property’s deed that the trustee of the trust has the power to transfer or otherwise encumber the property. This will make subsequent sales of the property much easier, avoiding legal challenges. Transferring a car title to a trust can also have some disadvantages. For example, the transfer may result in the car owner losing insurance benefits and paying higher insurance premiums. Some insurance companies may also be hesitant to or refuse to cover a car that is titled to a trust. How you transfer title to your property can affect the validity of your trust. 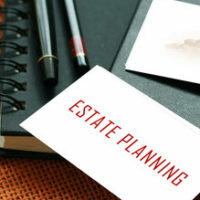 In order to ensure that your trust and any planned transfers of title are valid, and for more advice on the best way to transfer your property after your death, call an experienced estate planning attorney from the Millhorn Elder Law Planning Group located in The Villages, Florida.